IPT offers customers power generation engines and generator sets. 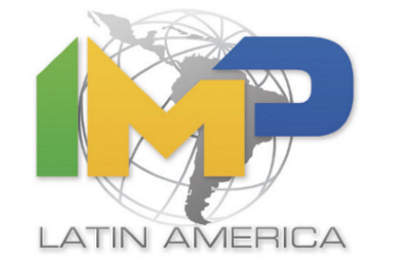 IPT is a global buyer, seller and renter of power generation equipment with a specific expertise in the Latin American market. IPT's product offerings include generators, engines, generator ends, and generator accessories. Generator Sets Industrial and marine generators are designed to operate in all climates and conditions. They offer various outputs and meet the needs of oil & gas, marine and mining power demands. Configurations vary depending on the applications as well as fuel types. Industrial generator sets can use diesel, natural gas and bi-fuels. Marine generator sets operate in various marine applications such as auxiliary, offshore platforms and harbors. International Power Traders has supplied new and used engines to many different industries such as back-up power, oil & gas, mining, marine, commercial and manufacturing. Industrial engines are specifically designed to operate in the most unforgiving environments imaginable. Designed with versatility in mind, industrial engines by Caterpillar, Cummins and Detroit Diesel meet any challenge and any environment. They operate in all climates and harshest of conditions while maximizing fuel consumption and meeting strict emissions requirements. Marine engines are used for both marine power generation and propulsion with emission regulations set by the territories they operate in. Power generation and distribution involves a complex array of equipment that is customized for specific applications. We sell previously installed power plant equipment that match specific needs set by the customer. Power plants can be installed to use diesel, heavy fuel oil, turbines and reciprocating engines. The size of power plants varies depending on the demand and they require lead time to disassemble, ship and reassemble. Accessories Power generation equipment relies on accessories that can handle the rigorous working conditions they operate in. Generator ends come in all sizes and output capacities and are used in all applications involving power generation. From back-up power to offshore oil drilling applications, International Power Traders supplies enclosures, generator ends, radiators and fuel tanks to get the job done. Continuous, Prime, or Standby Generators provide users with an independent power source to meet their specific need for continuous, prime, and/or standby power. These products service the needs of businesses and operations with distinct power requirements including operations located remotely, and those requiring an emergency back-up source. Continuous Power - continual electric output from a power supply source without varying load for an unlimited period of time. Prime Power - electrical ouptut from a power supply source with varying load for an unlimited time.